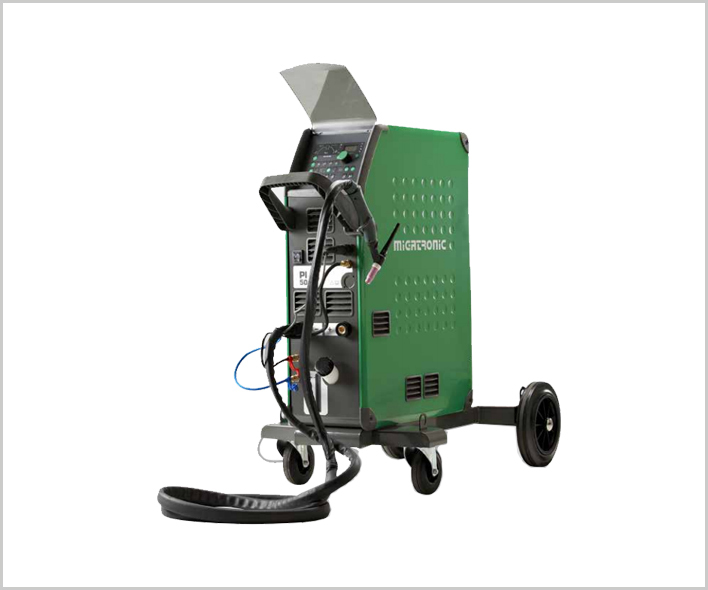 Migatronic Pi are user-friendly welding machines, which meet every need for TIG and MMA welding. High-performance inverter machines for precision welding in mild steel, stainless steel, aluminium and other high-alloy materials. There is a Migatronic Pi machine for any type of welding operation: repair, assembly, construction, industry and robot. Processes include TIG HP (high-frequency with pulse), TIG H (without pulse), TIG AC/DC, and MMA welding with covered electrodes.